Genomic instability is a hallmark of malignant tumours, causing disturbed integrity of the genome, numerical alterations, and structural changes. For various cancer types genomic instability has been associated with poor prognosis, suggesting that genomic instability may confer growth advantage of cancer cells. In most cancer types, genomic instability is characterized by copy number alterations, allelic imbalance, or the loss of heterozygosity. The molecular basis of genomic instability remains still unclear; however, mutations in key checkpoint proteins and DNA repair genes are supposed to be involved. Interestingly, the effects of disordered genomic organization may also have an unfavourable effect on the overall viability and fitness of cancer cells. 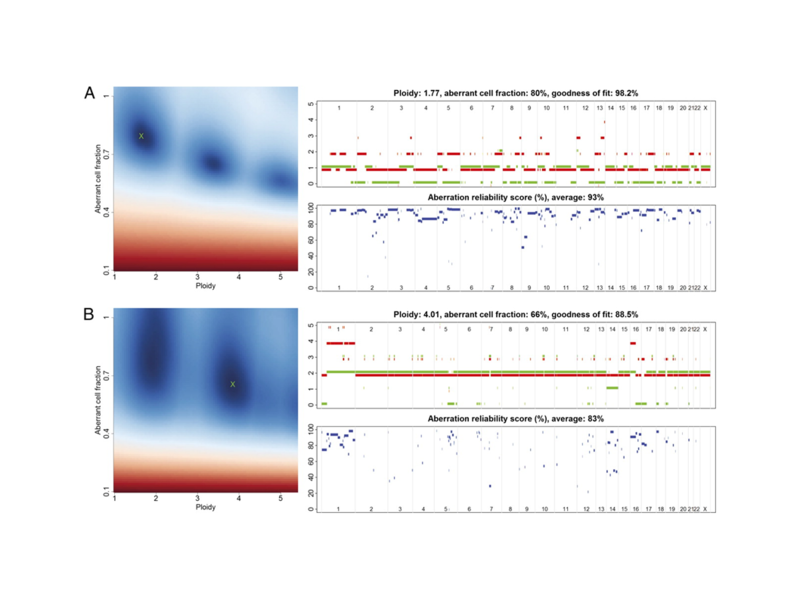 Precise delineation of the negative and positive effects of genomic instability on cancer cells is of potentially great importance for tumour classification, survival prediction, and individualized therapy. Our research is focused on the assessment of genomic instability in a variety of tumour types by applying various methods or the developing novel algorithms. 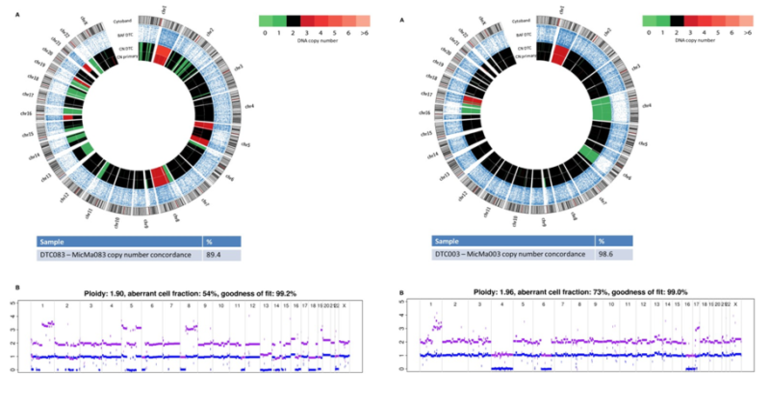 This work includes projects about the complexity and genomic aberrations in breast tumors and serous ovarian cancers; integrated omics analysis; efficient algorithms for single- and multi-track copy number segmentation analysis; genomic architecture; comparison of platforms and algorithms for classification of copy number alterations in human breast tumors. What are the common abberations in four types of female cancer? How we can trace the origin of disseminated tumor cells (DTCs) in breast cancer? 1. Fatemeh Kaveh 10.10.2013; Title of the thesis: Genomic signatures in progression of breast cancer with reference to gynecological carcinomas. 2. Ellen Møller 09.03.2015; Title of the thesis: Genomic alterations and heterogeneity in progression of breast carcinomas. 1. 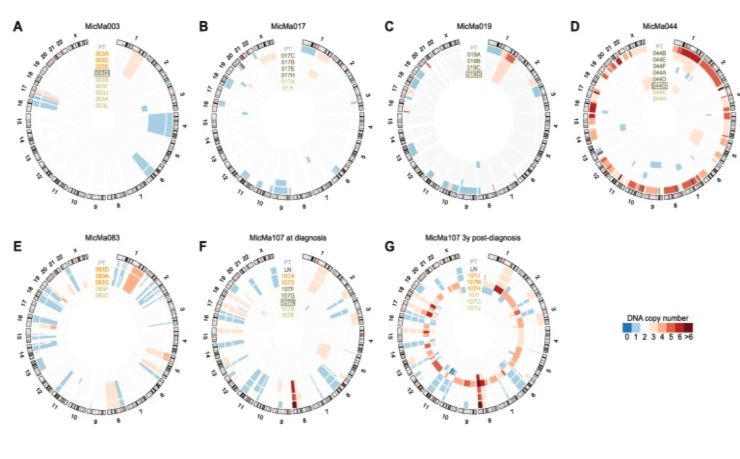 Tracing the origin of disseminated tumor cells in breast cancer using single-cell sequencing. 2. 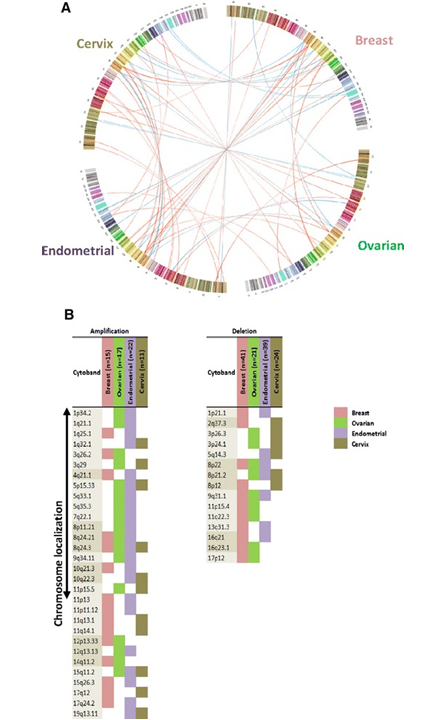 A systematic comparison of copy number alterations in four types of female cancer. 3.Next-generation sequencing of disseminated tumor cells. 4. Allele-specific copy number analysis of tumors.